I grew up in a household that loved to travel. My father was (and is) a scientist who was always pursuing opportunities whether in Mexico, Africa, or the Middle East. Whenever it made sense, he would drag our family along on his adventures. My wife, Aleix, and I met in Puerto Rico when I sailed into San Juan harbor on a research sail boat. 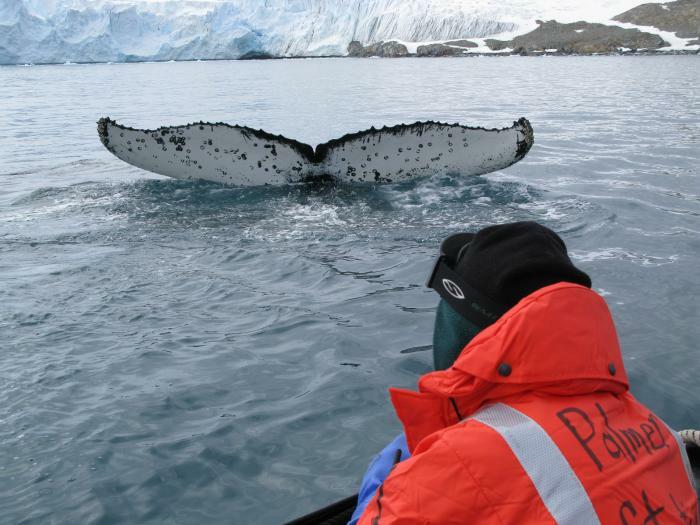 I was a member of the crew and had worked on the boat when it was in Antarctica tracking humpback whales. Aleix had grown up in a small town in Northern California her wanderlust had taken her to Puerto Rico to work on an island reforestation project. 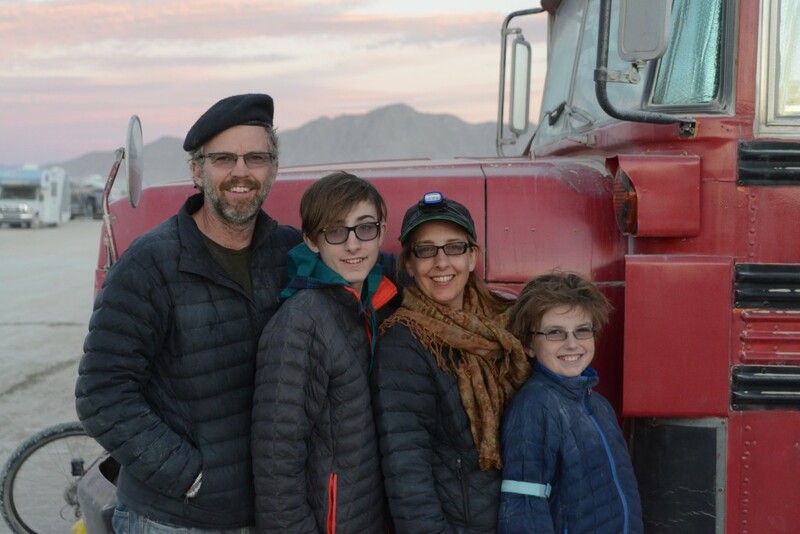 Before having kids we agreed that we would someday travel with them and do what we could to introduce them to the world and make them comfortable with being uncomfortable. Time passed, our kids grew, and whenever we could we would hit the road. We traveled in Europe, spent time in Central America, and explored the western United States. We scribbled itineraries and discussed modes of travel over morning coffee or late night glasses of wine. After seven years as the Managing Broker of Carmel Realty Company, overseeing its growth from 4 agents to over 30, I decided in the spring of 2015 that I wanted to return to representing clients directly. But first, Aleix and I would keep the promise we had made to each other 15 years earlier. With two teenage sons, time was running out. So in late July 2015 we set out in search of adventure, and found it. After two months of travel in the western United States, we boarded an airplane with four suitcases destined to travel through 25 countries. 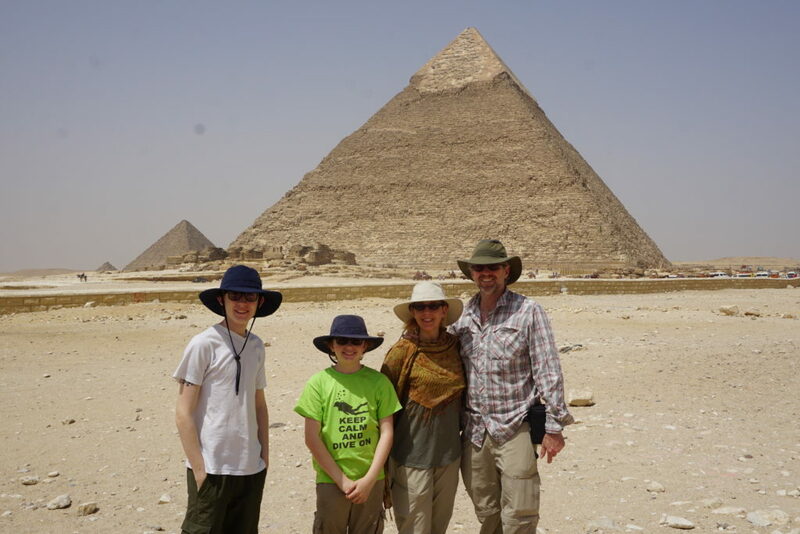 We flew on 32 airplanes, traveled by camel, elephant, boat, beat-up taxis, and four wheel drive trucks. In August of 2016 we returned to Carmel. Our sons, Bryce (17) and Colin (14,) are both at York School, and I am an Associate Broker at the company I helped establish, Carmel Realty. Since our return, we have formed a three person real estate team; me, Aleix, and Mike Proto-Robinson, my father-in-law, a successful agent in his own right. We hear from folks all the time with great questions about our travels. And, as you can imagine, we enjoy sharing our experiences. 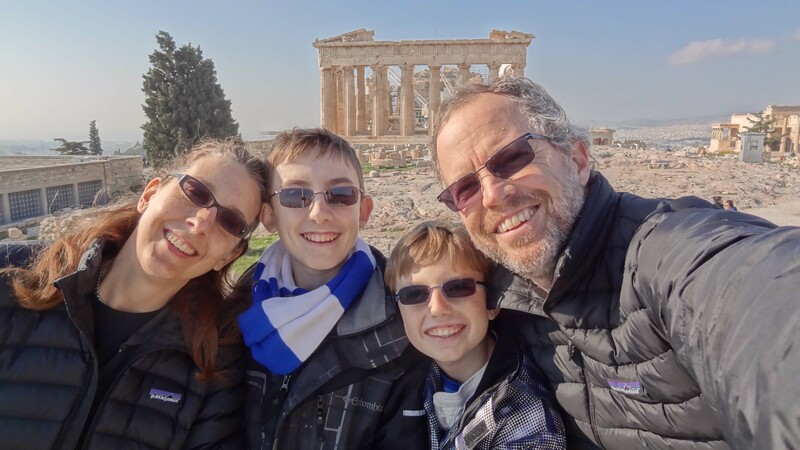 So if there is anything you would like to know about specific countries, traveling with kids, school on the road, what we learned, what we would do different, and what we did right, give me a call or send an email. My cell is 831-601-4740. I look forward to crossing paths soon. A great kitchen can sell a buyer on your home. 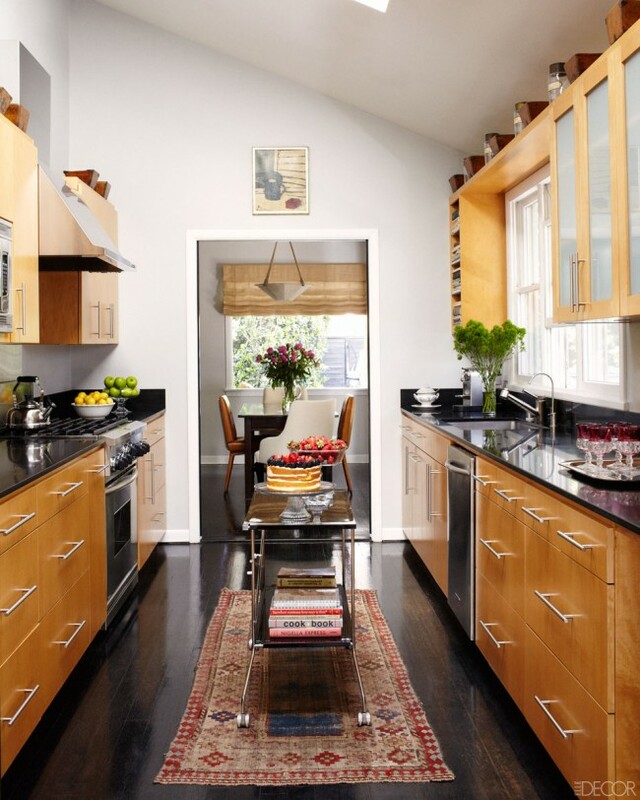 While it might sound convenient to give someone credit to do updates later, a kitchen that feels fresh and ready to use the way it is could easily tip the scales, and prospective buyers don't look forward to doing the work any more than you do. Short of a full remodel, here are a few ways to make your kitchen into a buyer's dream. 1. Materials matter: remove as many brass fixtures as possible. While there are ways to update a kitchen’s look using brass, it’s safe to assume that this is a choice that is best left to buyers themselves. Anything that contributes to the general datedness of the kitchen should go. Even simple fixes like changing out brass knobs will go a long way in helping buyers see your kitchen as updated and fresh. On the same note, these materials will look sleek, sophisticated, and neutral in any kitchen. Smooth and not too shiny, hardware that looks updated but doesn’t make a statement is the way to go. 3. Surface-level: paint or re-stain cabinets. Consider re-facing them if the cabinet boxes are in great shape. Cabinets take up a lot of visual space in a kitchen, so it can be difficult for buyers to see past an unappealing stain or color. The whole space will look contemporary and fresh with the right adjustment. Bright white paint is always a good way to brighten a space, and dark stains have been popular in recent years. 4. Modernize: add new stainless steel appliances. There’s no better way to give off the impression that a kitchen is in top shape than new stainless steel appliances. Stainless steel has been popular for a while now, but the trend isn’t going anywhere. In fact, the material has been popular for long enough that many buyers have come to expect it. Trends in countertops and tile backsplashes may come and go, but stainless steel will be a safe bet for the foreseeable future. Granite is still popular, but other options are gaining traction too. If your countertops are looking outdated, quartz, marble, and butcher block are other materials to consider. While this project can be a big undertaking, it could make all the difference in the long run. Carmel has a few establishments where you quickly feel part of the family after your second or third visit. The Carmel Coffee and Cocoa Bar in the Carmel Plaza at the corner of Mission and Ocean Avenue is a prime example. Take a quick tour and meet the owners. Carmel-by-the-Sea is only one square mile yet it is surprisingly easy to get lost in our town, even though the streets are laid out as a grid. The reason? We don’t have traditional street addresses. Historically homes were given names such as “Owl House,” “Periwinkle,” or “Sea Urchin.” Many still retain those names has it was considered bad luck to change a home’s name even when ownership changed. Clearly remembering the names of 4,000 houses doesn’t work today, so a system has developed of identifying a home based on the nearest intersection. To understand how this works, it is important to know that in Carmel-by-the-Sea the named streets run north/south and the numbered avenues run east/west. 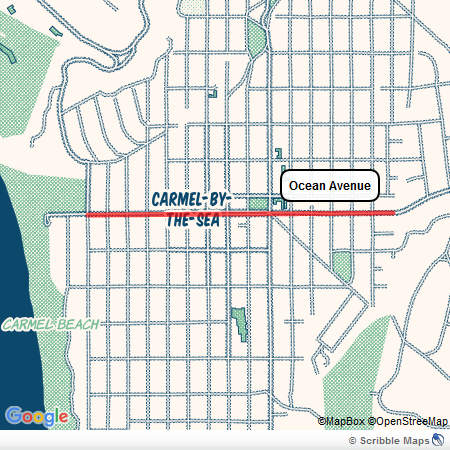 There are a couple of exceptions (of course) but the most important exception is Ocean Avenue that runs east (from Highway 1) through the center of the commercial district down to Carmel Beach. Ocean Avenue is an important landmark for locations in Carmel. You will often hear directions that reference Ocean Avenue such as, “my office is on Dolores South of Ocean Avenue just past 7th.” Ocean Ave is between and parallel to Sixth and Seventh Avenue. 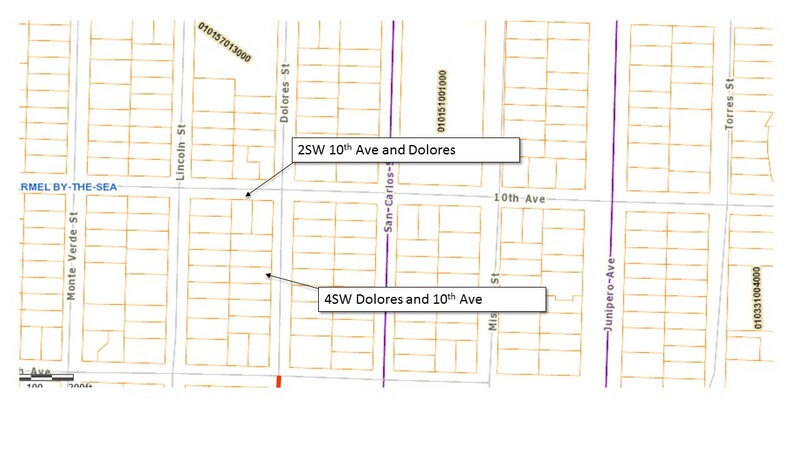 On a parcel map (below) you can see where 4SW Dolores and 10th is in fact located. The house I am looking for is the second house. Ok, second house from what corner. Ah, the corner of 10th and Dolores. Ok, I know it is on 10th Ave because that is the first street in the address. So, I start walking on 10th Ave. But wait, which way. Well I can’t walk South on 7th Ave (it doesn’t run that way) so I will head west and count two houses. Ok, got it. But which side of the street? Oh, S, so south side of the street. Corners are fairly straightforward. For example, the NE CNR Dolores and 10th is the home on the NE Corner of that intersection. Can you get FedEx, UPS and other deliveries in Carmel? Yes, in fact, our UPS and FedEx drivers know more about the goings on in town than a typical gossip reporter. We once moved several blocks in Carmel. Two days after moving the UPS driver knocked on our door with a package. No one knew we had moved. I asked the driver how he knew. He replied, "I saw you packing stuff day before yesterday, figured a move was underway and recognized your car here yesterday. Can you sign here?" 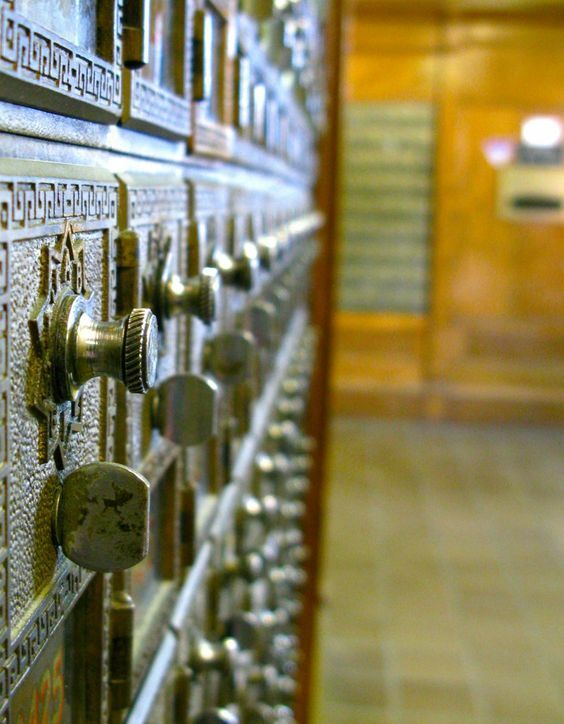 Every home in Carmel is served by a post office box in the Carmel post office. Almost everyone in Carmel, businesses and residents alike, make a trek to the post office everyday or two to say hello to Sharon and the other folks behind the desk and pick up our mail. It is one of the social hubs where locals cross paths and catch up with each other. If you do require home deliver, the city government has a contract with a private provider who does deliver mail but most folks prefer the exercise and interaction of visiting the post office. As you look at the current listings below, you will now be able to figure out where they are! And, keep in mind, the mapping software can't so even if a listing shows a property on a map and it isn't where you expect it to be based on the address, you are right and the map is wrong. Your Dog Will Love Carmel, and Might Not Let You Leave! They say that a dog is man’s best friend, but nowhere does this ring truer than in beautiful Carmel-by-the-Sea. Instead of simply admiring pooches from afar, this charming town coaxes them off the sidelines and into the fun. It’s no surprise that Carmel-by-the-Sea is ranked the #1 Dog Friendly Town in America – check out why the dog’s life is a good one here. There’s no shortage of activities for furry friends and their humans in this coastal region. With temperatures averaging in the mid 60s, every day is a perfect day to get out and explore. 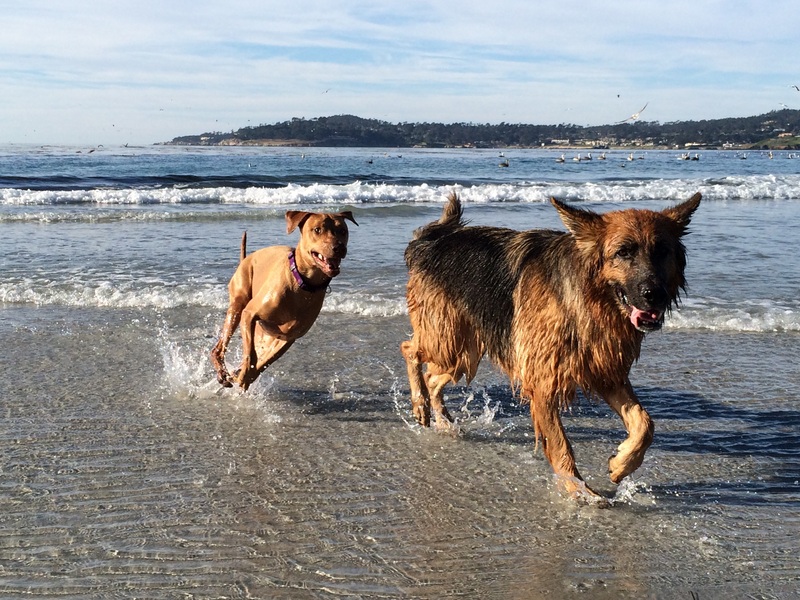 Carmel Beach: Is there any better definition of doggie heaven than a vast off-leash dog beach? The white sand is bordered by large sand dunes, creating a scenic protected area for your dog to blow off some steam. Once they're tired out, plenty of kelp forests and tide pools will keep curious snouts busy while humans take in the salty views. While dogs are allowed off-leash, they must be under voice control. Carmel River State Beach: For a different type of surf and sand experience, check out this mile-long beach where the Carmel River ends. Pets and humans alike will love checking out the variety of song birds and waterfowl at its protected bird sanctuary. Dogs must remain leashed. Garrapta State Park: Not beached out just yet? 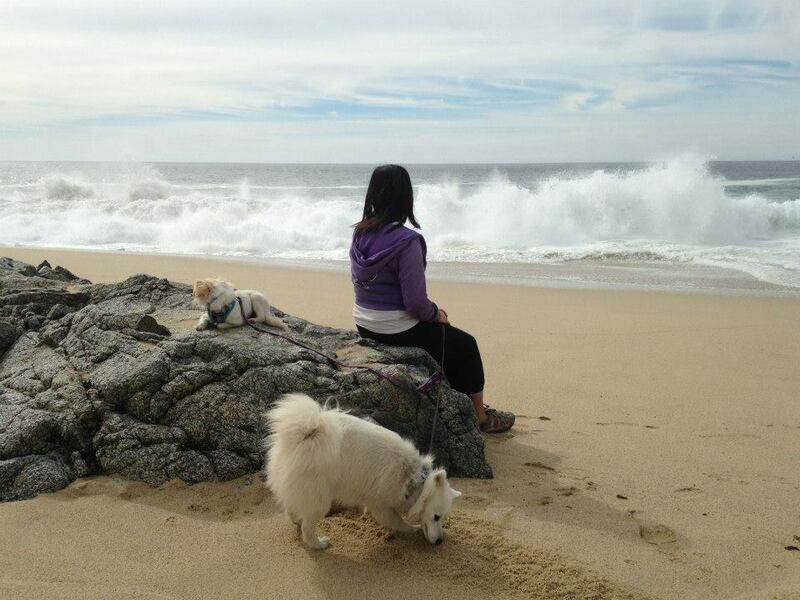 Take Fido to this two-mile beach shared with sea otters, harbor seals, and sea lions. During whale migration season, you might even catch a glimpse of a California gray whale! Dogs are only allowed on the beach and must remain leashed (6-foot maximum length). 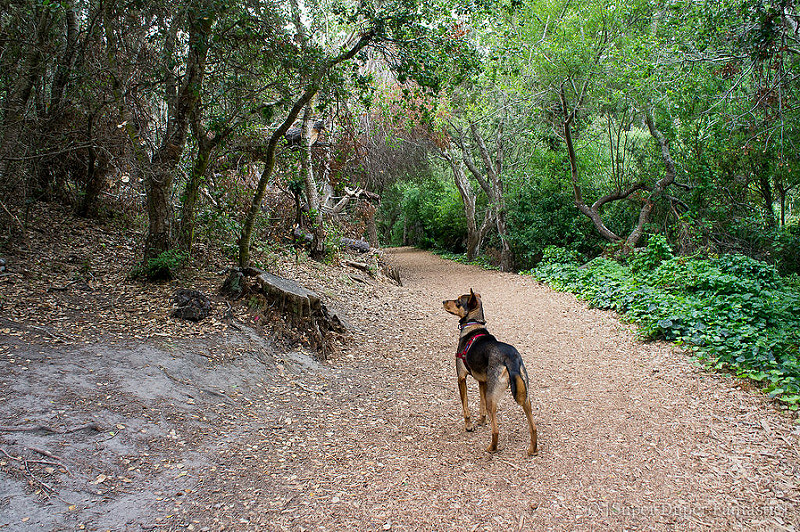 Garland Ranch Regional Park: This expansive park is a canine’s delight, boasting varied terrain and elevations from 200 to 2,000 feet. While dogs explore the trails and vegetation, their humans can take in historic Rumsen Indian habitation sites, homesteads, and hunting remains. From hiking to horseback riding to mountain biking, there is something for every outdoor enthusiast to enjoy. Dogs must be leashed or under immediate voice and visual control. Mission Trail Park: This beautiful park offers over 35 acres of entertainment in the form of a pine forest, a grove of oak trees, and scenic meadows. The trails begin at the Carmel Mission Basilica which is worth a visit on its own. Or, you and your pooch can start where Mountainview Avenue turns into Forest Road. Dogs are allowed off-leash, but must be under voice control. Courtyards and Secret Passageways: Ever since Hugh Comstock built a small fairy tale cottage to house his wife’s doll collection in 1924, storybook cottages and courtyards have been the craze in Carmel-by-the-Sea. You and your dog can easily spend a day exploring the charming courtyards and hidden passageways throughout the village. If you’re interested in something more structured, both Carmel Walks and California Legacy Tours offer two-hour guided tours that welcome leashed dogs. 17-Mile Drive: When you and your pet are tired of walking – but don’t want the fun to stop – it’s a perfect time to embark on the world famous 17-Mile Drive. Running from Pebble Beach to Pacific Grove, the toll is $10 and provides access to stunning coastline, rugged trails, and picturesque beaches. Don’t forget to give Fido a window seat for all the wonderful sea scents! Leashed dogs are welcome at all sites along the route. 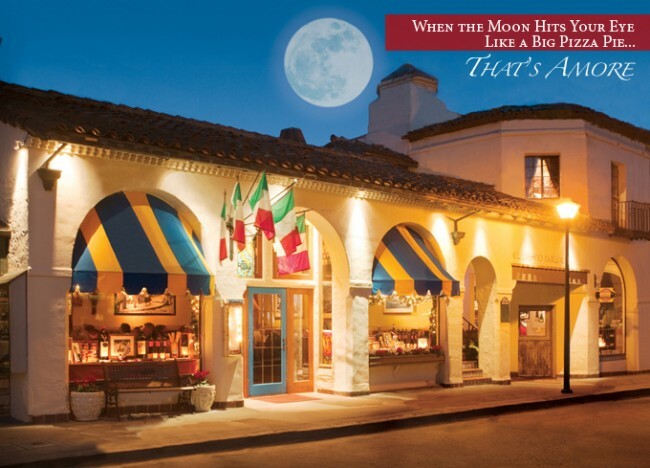 With all the unique wares available in the artists’ haven of Carmel-by-the-Sea, it’s hard to resist a little shopping. And what better way to indulge in some retail therapy than with man’s best friend? Fortunately, many shops in this dog-friendly town will cater to both of you. Carmel Plaza: There’s no better place to start than here, a pet-friendly retail heaven located along Ocean Avenue. Check out the Fountain of Woof in the plaza’s courtyard and make sure your dog takes a sip – it’s considered good luck. 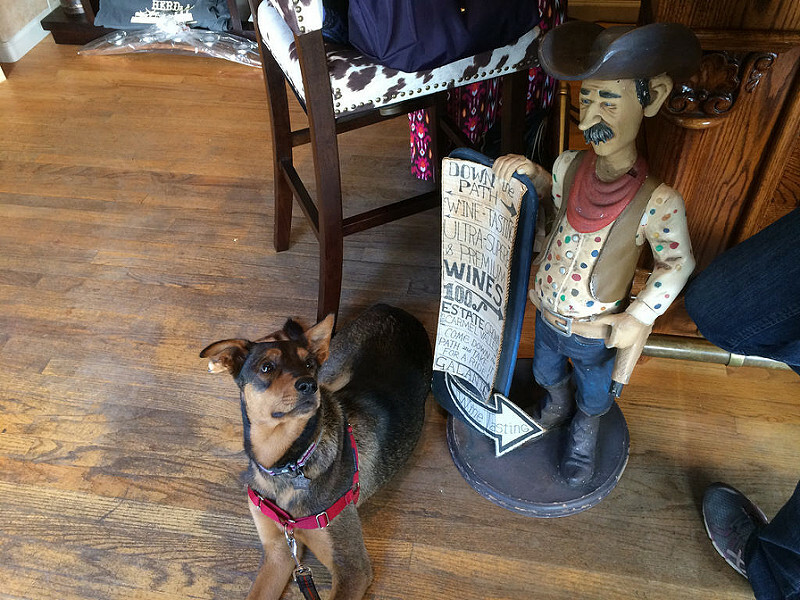 Well-behaved leashed dogs are welcome in many of the plaza’s shops and eateries. Diggidy Dog: Why should humans have all the fun? This boutique offers a wide assortment of unique pet supplies, clothing, and delicious-looking treats for your favorite four-legged friend. Be prepared for the approachable staff to fawn over your pet. Well-behaved humans are welcome. The Raw Connection: A healthy dog is a happy dog, and this store focuses on keeping your canine in tip-top shape. From raw to grain-free to supplemented, there are few dog diets this store can’t accommodate. Check out the selection of dog training classes as well. Rodrigue Studio: Affectionately known as Galerie Blue Dog (Blue Dog Gallery), the gallery boasts paintings inspired the artist’s beloved dog Tiffany (now deceased) and a mythical ghost dog. Staffers are dog lovers who will gladly share the story behind Blue Dog while offering your pooch a treat. Carmel Art Association: Founded in 1927, this is the city’s oldest art gallery as well as a non-profit organization dedicated to presenting premier local pieces. Featuring the works of over 100 artists, this gallery can easily keep you and your pet in thoughtful contemplation for hours. Well-behaved leashed dogs are welcome. After a day of recreation, walking, and shopping, you and your canine are bound to have an appetite. In Carmel-by-the-Sea, you’re in luck. This foodie destination is low on chain restaurants and high on local flavor. A wide variety of mouthwatering cuisines are available for any palate – both human and dog alike. Forge in the Forest: Built in 1944, this restaurant has been voted the best outdoor dining experience in Monterey County since 1992 for its fabled gardens, foliage, and outdoor fireplaces. The New American menu offers a wide range of options for humans, while the robust dog menu offers your pooch a feast worthy of a canine king. Evening is a magical time with beautifully strung lights. PortaBella: This popular upscale restaurant earns rave reviews for its quality local cuisine, proving that a romantic ambience CAN be dog friendly. Diners accompanied by furry friends are seated outdoors or on an enclosed patio complete with white tablecloths and candles. Try the grilled Spanish octopus – and don’t leave without sampling the pistachio ice cream! Little Napoli: Solid Italian and warm hospitality are the hallmarks of this Carmel institution. Bring the kids and the dogs to dine on the outside patio, and enjoy the addicting garlic bread and crowd-pleasing pizzas. Casanova: This favorite serves rustic French-Italian cuisine in an old house with dog-friendly patios. 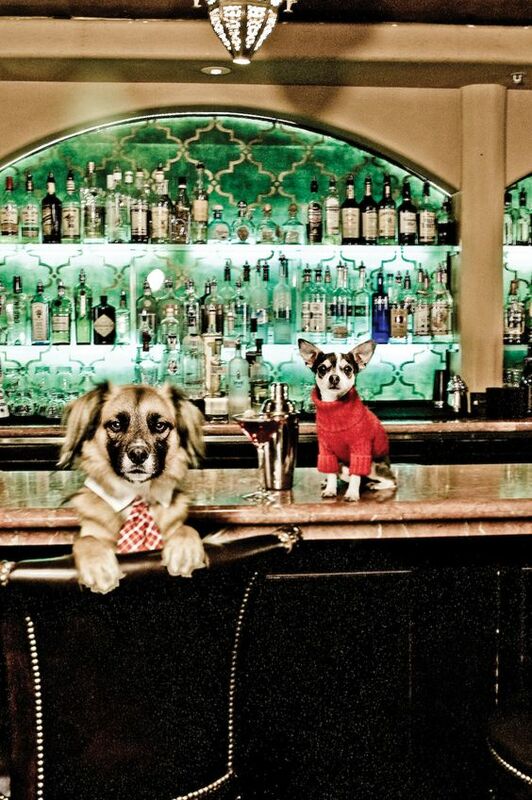 Pooches are welcomed with biscuits and bowls of water while you peruse the extensive wine menu. Sample the spinach gnocchi. Club Jalapeno: Sometimes you’re jonesin’ for a good margarita – and this establishment doesn’t disappoint. Located in a quaint courtyard, the restaurant offers Mexican favorites and a dog-friendly patio. Pups are offered water and, sometimes, nibbles of chicken. Others: Check out this list for even more local restaurants that welcome dogs. Want to try a place not listed? Look for doggie bowls outside; you might be pleasantly surprised. A day in Carmel-by-the-Sea isn’t complete without the taste of some of the region’s best red and white varietals. Although dogs can’t indulge, they can accompany you to many of the local wine tasting rooms. Cheers! Galante Vineyards: Known for being the town’s first wine tasting room, the owner’s great-grandfather was the founder of Carmel-by-the-Sea. The Cabernet Sauvignon is recognized as one of the best in Monterey County. The rustic setting is homey and welcomes well-behaved dogs. Taste Morgan: Sample the latest vintages of this artisan wine in a comfortable space with great service. With reasonable tasting fees and a selection of unique wine-themed gifts for purchase, it’s easy to while away an afternoon here. Best of all, Fido is welcome to join. Caraccioli Cellars: Specializing in Sparkling, Rose, Chardonnay, and Pinot Noir, this charming tasting room excels in service and fun. Pups are adored and enjoy spreading out on the cool concrete floors while their humans sample bubbly and cheese. Others: There are numerous wine tasting rooms in Carmel-by-the-Sea, with a few of the top listed here. Most happily welcome dogs. If you're planning to make a day of it, check out the Wine Walk-by-the-Sea, which includes a passport for wine tastings at up to nine tasting rooms of your choice. Terry’s Lounge at Cypress Inn: Located inside of the famed 1929 hotel, this lounge is known for its exceptional dog-friendliness. Classic cocktails are served along with Mediterranean fare at this landmark graced by Hollywood’s Golden Age elite. Yappy Hour is held 4:30pm-6:00pm Monday through Friday and is a great time (though not the only time) to bring your pet. Hog’s Breath Inn: This pub and eatery formerly owned by actor Clint Eastwood has a popular Happy Hour complete with its own Hog’s Breath Pale Ale. Friendly dogs are welcome on the heated patio. Once you and your pup have had your fill of entertainment, food, and drink, it’s time for some rest and relaxation. Fortunately, Carmel-by-the-Sea offers both of you the opportunity to unwind. Signature Paw Spa: When nothing but the best will do for your pooch, this is the place to go. Located in Pebble Beach, the facility offers cage-free doggy daycare, professional pet massage, preservative free food, comfortable spa beds, and a sun deck for relaxing. Perhaps the only complaint is that they don’t accept human clients! But alas – the nearby Spa at Pebble Beach is a worthy alternative, providing world class spa services and amenities to humans while they wait for their dogs. As the sun begins to dip below the ocean’s horizon, you and your furry friend may begin looking for a place to catch some shut-eye. As with everything else in Carmel-by-the-Sea, there are many lodging options available that welcome both you and your pet. No boarding required! Cypress Inn: This 1929 landmark hotel is co-owned by actress and animal activist Doris Day and was a favorite haunt of celebrities of Hollywood’s Golden Age. 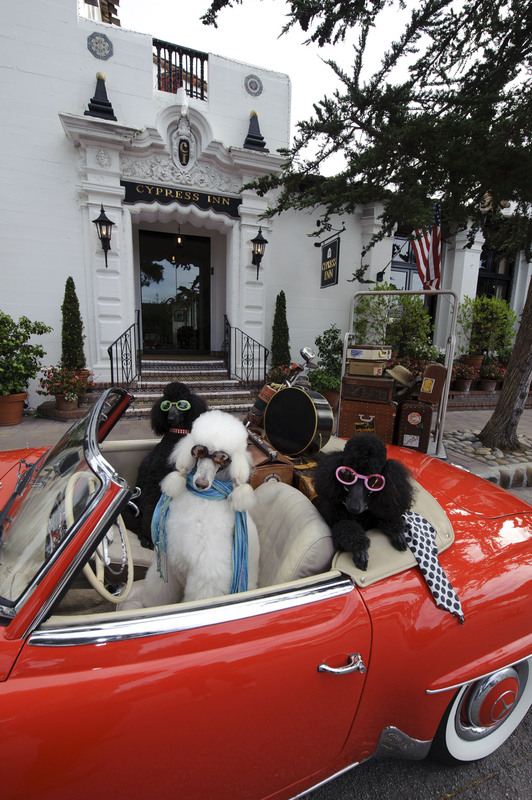 Located within walking distance of virtually everything Carmel has to offer, it’s called “the most famous dog-friendly hotel in the country.” Dogs are encouraged to join their owners in the overnight guest rooms for a nominal fee, or in the famous hotel restaurant. Carmel Valley Ranch: This picturesque resort offers 500 acres of scenic beauty, equestrian adventures, trails, and the only Pete Dye designed golf course in Northern California. With spacious suites (studio to 4-bedrooms) and an activity calendar bursting with recreation, this is the ultimate getaway. For a per-stay fee, dogs are welcomed with a dog bed, hiking trails waiting to be explored, and delicious treats from a specialized pet menu. 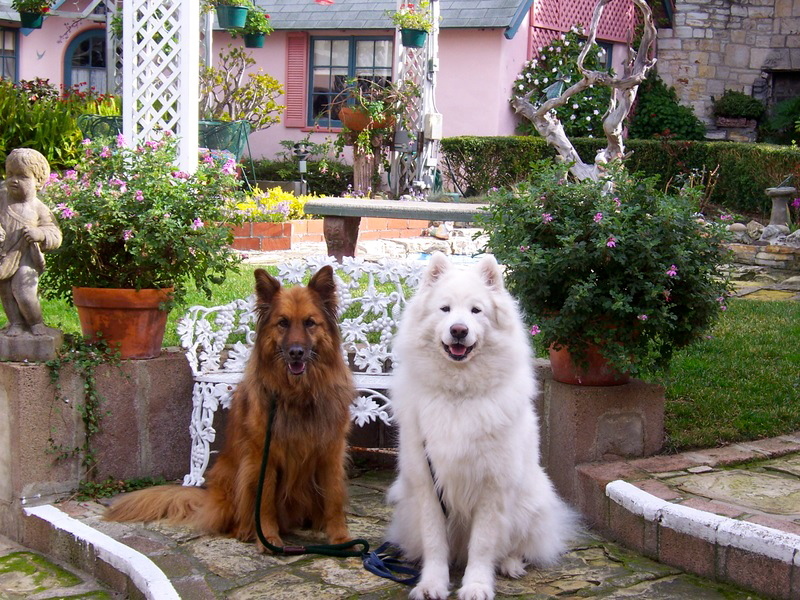 Carmel Country Inn: Known as Carmel’s most pet friendly bed and breakfast, this inn offers an outdoor doggy area, unlimited dog biscuits, and a doggy photo opportunity for their pet guest display in the lobby. Humans adore the comfortable one and two-bedroom suites along with the delicious breakfast buffet. A nominal nightly fee is charged for each pet. Happy Landing Inn: With scenic gardens, cathedral ceilings, and stained glass windows, this boutique inn offers seven unique rooms to choose from. The property is 100% dog friendly and within walking distance of Carmel Beach and a variety of shops, galleries, and boutiques. Up to two dogs are welcome for a small overnight fee. Tradewinds Carmel: Voted one of the world’s top inns, this elegant boutique hotel offers a unique fusion of tropical and Asian design with views of the Pacific Ocean. Dogs are welcome for a small nightly fee – and will likely be greeted by Sweetie, the resident cat. Others: Interested in other lodging options? Check out this list – with many to choose from, you’re sure to find one that suits both you and your favorite four-legged friend. We take water usage very seriously here on the Monterey Peninsula. In fact, we have a government authority that is in charge of water, the Monterey Peninsula Water Management District, which was formed in 1978. To use water on the Monterey Peninsula, including Carmel, Carmel Valley, and Pebble Beach, homeowners need a permit from the MPWMD. You can't install a water meter on a lot without a permit, nor can you remodel a home and increase the number of water fixtures without a permit from the MPWMD. This is in addition to permit and zoning requirements of the municipality. First, determine if your property, or the property you are interested in purchasing, is within the district. Why Do Some Homes Have Lots of Credits and Some Very Few? Often I will walk into a home with a client and be faced with a confused look when I explain that this 2,800 square foot home is limited to 2 bathrooms while a 1,000 square foot home we just visited could have 3 bathrooms if the buyer wished to add one during a remodel. Why is this the case? The number of fixture units in a house is set the first time an MPWMD inspector tours the home. So, a small home with a lot of water fixtures (a laundry sink, a vegetable sink, a bar sink, extra large bathtub, even a bidet) will have more water for future remodels than a larger home with no extraneous water credits. A basic full bath typically uses 4.7 water credits and a typical kitchen uses two. Fixture units can be reassigned. 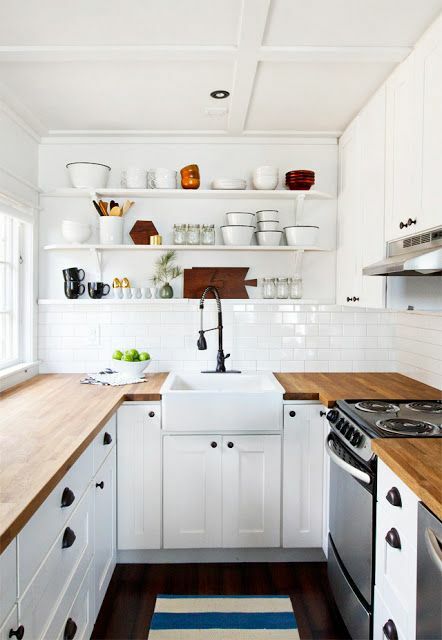 For example, a vegetable sink in the kitchen can be removed and replaced with a bar sink elsewhere in the home. A master bathroom can have two sinks without the second sink costing any units, and a large bathtub costs three units while a regular bath only costs two. A list of the "values" of different fixtures is available from the MPWMD here. When you buy a home, you are buying a finite number of water credits. The number of water credits available limits what you can do with the property--when it comes to adding bathrooms, sinks, or anything that uses water. There are a few nuances to this process. A few years ago the MPWMD acknowledged that today it is reasonable for any house to have at least 2 bathrooms. So, under Ordinance 98 (also known as the second bathroom protocol,) they will allow you to add a second bath to a one bath home, even if the one bath home lacks sufficient water credits for the second bath. A couple of key restrictions with Ordinance 98. First, you can't then go on to add a half bath. The second bath is "free" but any additional bathroom fixtures cannot be added. Second, the one bath home can't be new. You can't build a one bath home this year and add a second bath under Ordinance 98 a few years from now. Can you buy water credits? Yes, but only in certain areas. There are also a few unique areas on the Peninsula with other alternatives. In Pebble Beach at the moment, it is possible to purchase water credits from the Pebble Beach Company. 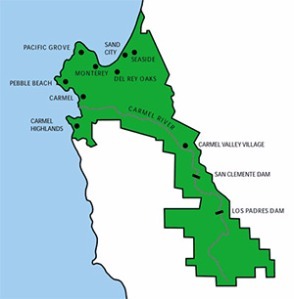 Properties located in the former Water West System (a water distribution system now run by Cal-Am) in Carmel Valley are entitled to water from an allocation that transferred with the water system. If your property is in this area it is possible to petition and secure water credits. And just recently, because of the donation of some water rights associated with property previously owned by Clint and Maggie Eastwood, it is possible to buy credits in Carmel under the Malpaso Water Agreement. 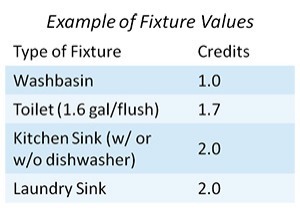 The details of buying water credits (fixture units) are too complex for this blog post. If you are thinking of buying a home and then buying water, or buying water for an existing home in advance of its sale, please email or call for more details. Another option is to "liberate" a credit or two by switching to low flow appliances. For example, you can replace your current dishwasher (2.0 units) with a low flow dishwasher (1.5 units). This will leave you with .5 credits you can put elsewhere. You might also replace your washing machine (2.0 units) with an extremely efficient model (1.0 units). 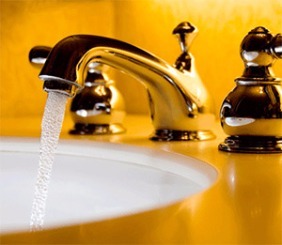 Before making a purchase decision based on your ability to "squeeze" water credits out of what is in the home, make sure you fully understand the process. It is clear that there are many aspects of these water regulations that can impact a home's value. Feel free to send me an email with questions, as answering any possible scenario in this post is impractical. 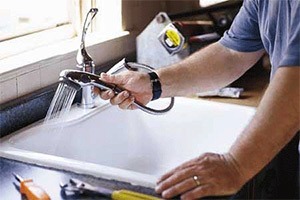 If you are working with an architect and considering a remodel be sure to discuss water fixtures. If you have the Assessor Parcel Number (APN) for the homes you are considering you can contact the water district and determine the number of fixture units on the property. They can also usually look up information by address. If you are already working with a realtor, he or she should provide you with the water district report during your negotiations to purchase the home. If you would like to talk about a specific property, or the concept of water credits, drop me an email or give me a call. 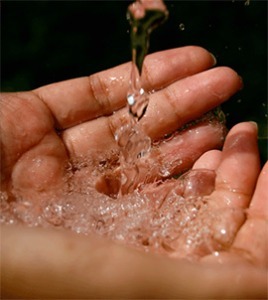 Water regulations are constantly shifting. Make sure you fully understand what you can and can't do on a given property. If you are planning a remodel talk directly to water management and ask your architect and contractor to explain the steps involved. If you are buying a home, make sure your REALTOR® understands water credits and provides you with the current rules and reports.